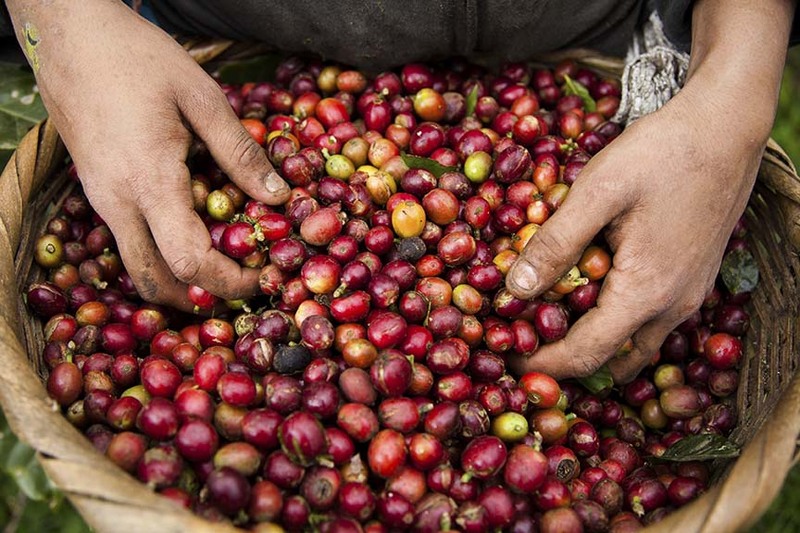 Post #6: Innovative Models at Origin: Can selling coffee in cherry be profitable? It is often taken as accepted wisdom that smallholders need to move up the value chain–aggregate, process, trade directly—to be competitive and profitable in the coffee industry. Smallholders who aren´t part of a cooperative with certifications, cupping labs, mills, and an export license will never break out of a cycle of intermediation and poverty. This view may be largely true but there are exceptions. CRS has been operating a project in the low (600 meters) to mid (1100 meters) altitudes of the coffee growing region of San Marcos, Guatemala for several years. The project originally started as a response to coffee leaf rust and focused primarily on supporting unorganized coffee farmers to begin the renovation of their farms. It also organized community members into small (15-20 member) savings and internal lending communities (SILC). The groups then mobilized to form a larger network (10-20 groups). The project evolved over the years, tackling new problems as farmers’ and CRS’s understanding of the context evolved. The Nuevo Progreso region of San Marcos has mediocre yields (1,400 lbs/hectare) compared with the rest of Guatemala. Theories about why this is so range from unsuitable (for coffee) parental material in the soil to excessive rain (3,000-4,000 mm/year). Most of the region´s coffee is produced by unorganized smallholders who sell their coffee in cherry at farmgate. The financial data we have collected predictably shows that low farmgate prices, which are linked to a shameful C-price, coupled with mediocre yields, mostly result in a cost-above-income situation. After speaking with several buyers operating nearby and conducting our own coffee quality baseline to map out the region (81.5 cup score average), we realized high-end specialty was unlikely to be a solution for these farmers. Small groups of farmers, organized by CRS, mobilize to harvest regularly once a week. Ripe, mature cherries are picked at the right moment, according to the company´s specifications, and then undergo a second quality control process led by the SILC savings´ groups. Representatives of the SILC network organize the logistics to ensure a full pickup (2,000 lbs of cherry) leaves for the company´s mill after a day of picking. The logistics are financed via the network´s commercialization fund. Coffee arrives at Los Volcanes´ mill near Antigua and is processed within 12 hours. Farmers are paid directly through the SILC network within 48 hours. Logistic costs are deducted to replenish the commercialization fund, and payments are dispersed to farmers. The network, made up of a representative from each participating SILC group, manages the commercialization fund and ensures accountability and transparency, following the financial and accounting standards of the methodology. The benefits of this model are multiple. Farmers receive a healthy premium, 40% higher (after costs) than the average farmgate price, for their good picking and organizational capacity. Farmers are paid in a transparent and direct fashion, within 48 hours, with cash deposited directly into the SILC network´s commercialization fund. Unorganized farmers are spared the additional work of post-harvest processing, which they are not equipped to do. Finally, given the precision and attention required for the harvesting and sorting, farmers pay pickers or day laborers 20% more than the average daily rate in the region (therefore there is a third group benefiting here). In turn, following its refined quality control processing standards, Los Volcanos has been able to improve the quality of the Nuevo Progreso coffee above its baseline scores (samples available at SCA). It has also been able to identify buyers for the SILC networks´ coffee. Next year, Los Volcanes wants more volume, and the SILC network is asking why they haven’t been commercializing using this model for years. As the price of coffee continues to hover near rock bottom, it will be imperative that actors at origin, and further down the supply chain, continue to check assumptions and innovate to improve profitability.